PICK ANY RESISTANCE FROM 1 OHM TO 1M OHM. PICK ANY RESISTANCE FROM 1 OHM TO 10M OHM. 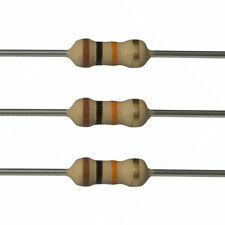 10k Ohm Metal Film Resistors - 10pcs - 1/4 watt - 1% - 10k - Ships Today! (10 Pcs) 1/4 Watt 1% Metal Film Resistor - Choose you own values - USA SELLER!!! PICK ANY RESISTANCE FROM 1 OHM TO 20M OHM. PICK ANY RESISTANCE FROM .47 OHM TO 1M OHM.